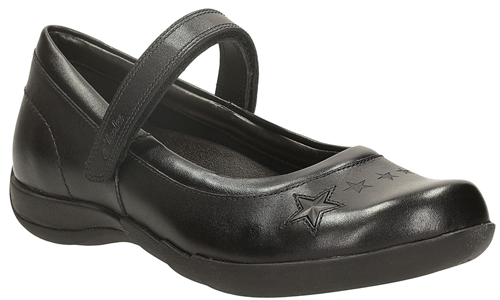 Clarks Lexie Jo – these Clarks black leather girls’ school shoes benefit from a sprinkling of stars across the toe as well as a chunky rubber sole, soft suede linings and a removable footbed. 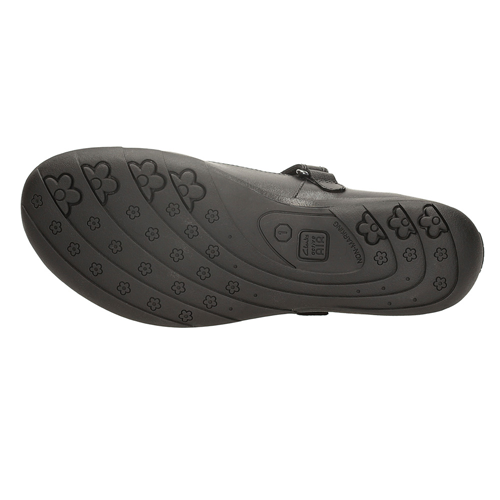 Air Spring FX technology provides cushioning and absorbs impact making the Lexie Jo Jnr great for active feet while padded toplines and a riptape strap add comfort and security. 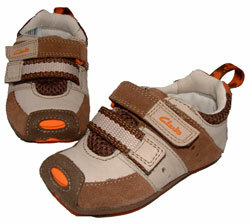 Perfect for school, parties or formal occasions, this versatile shoe is both smart and stylish.